I started the day off with some ink drawing this morning, using my old and trusty dip pen and black drawing inks. 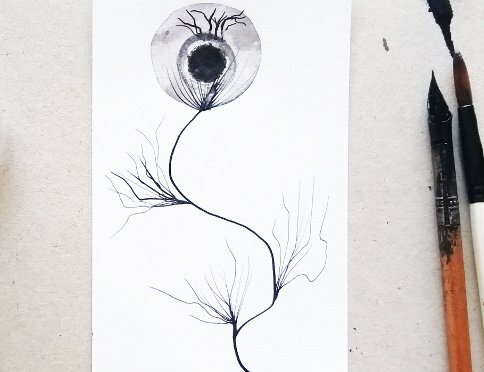 The starting point for this drawing was observing the dried seed pods of the Nigella flower, I then exaggerated the shape to come up with the image below. 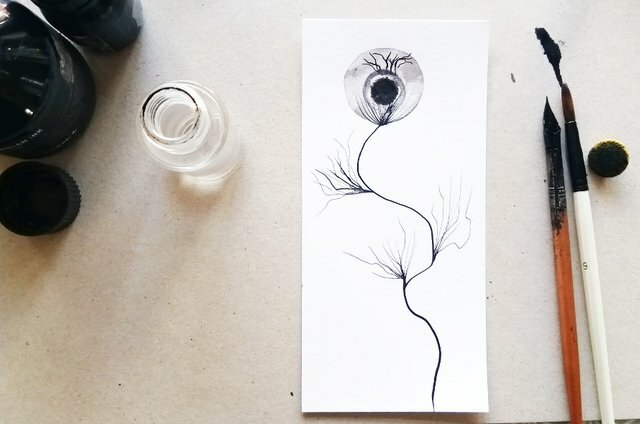 The initial lines of the stem were drawn in using my dip pen and drawing inks. 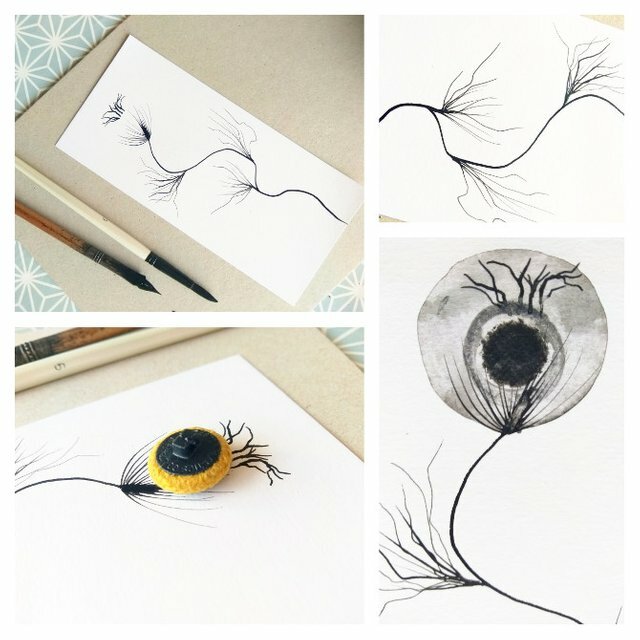 I then used an old fabric covered button and glass bottle to add the circular center to the flower, before wetting the ink with a wet paintbrush to create a larger circle. Thank you- this morning nature was my inspiration.